What were the three main catalysts of the recent protests? According to many media accounts, the protests that swept Tunisia, causing dictatorial President Zine El Abidine Ben Ali to flee to Saudi Arabia, were instigated by the gruesomely symbolic suicide in December of Mohammed Bouazizi, who some are calling “the father of the Tunisian revolution.”* In Tunisia’s choking atmosphere of unemployment, particularly among the young, Bouazizi had resorted to selling produce in the town of Sidi Bouzid. After police confiscated his wares because he lacked a permit, he publicly lit himself on fire and died in the hospital several weeks later. Corruption. 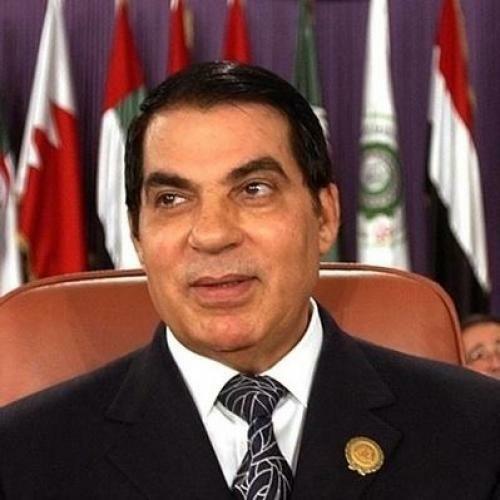 The graft and nepotism practiced by Ben Ali’s family are among the main causes of anti-government anger. The former president’s wife, Leila Trabelsi, has emerged as a Marie Antionette figure, resented by many for her opulent wealth in a country that has seen prices jump and employment diminish during the worldwide recession. It is also widely and, according to Tunisia watchers and cables released by Wikileaks, rightly reported that Ben Ali’s family members get sweetheart deals thanks to Tunisia’s hazy line between business and government. A book by two French journalists alleges that Trabelsi’s brother, Belhassen, specialized in buying land the government had deemed historical preserves, then reselling the land to developers for enormous sums. According to Harvard professor William Granara, who was written about Tunisia and who used to work for the U.S. State Department there, the perception that the Trabelsis and Ben Alis were “pillaging” the country was fatal to their rule. Unemployment and economic stagnation. In recent months, unemployment has risen to 14 percent, by modest government estimates, and everyday items like food have become harder to buy. The price of milk has doubled in recent months, says Malika Zeghal, a French-born Tunisian scholar of Middle Eastern and North African politics at Harvard, who has been in touch with people on the ground this week. Importantly, many of the unemployed are young college graduates who benefited from Tunisia’s relatively good public schools and free post-secondary education, but now find themselves unable to make a living. “As we know, unemployed intellectuals make problems,” Granara says. The absence of work violated an unspoken bargain struck between Ben Ali’s authoritarian regime and the people: You ignore our iron fist, and we will supply you with jobs. Emma Murphy, a professor at Durham University who has written extensively on Tunisian politics, remembers a time when, frightened by a growing tide of Islamism that Ben Ali opposed and content with 5 percent economic growth, Tunisians didn’t mind the government “tightening the screws” politically. That time, though, has clearly passed. State-run television is also a province of the regime, although some international stations like al-Jazeera retain clout. And the government keeps a tight grip on the Internet. As Clothilde le Coz, Washington director of Reporters Without Borders, notes, “They block websites, they chase down users, they track down IP addresses.” As the recent protests ramped up, the Committee to Protect Journalists reported extensive government attempts to steal Facebook and Yahoo passwords from dissident online journalists—and, in some cases, they succeeded. Granara says Ben Ali’s media clampdown felt like an unwarranted rebuke to a Tunisian public that had strongly supported the dictator earlier in his reign. “The Tunisian people feel betrayed by Ben Ali turning the country into a police state,” Granara explains. This sense of betrayal was then a key influence on the demonstrations that led to the president’s downfall. Eric Andrew-Gee is an intern at The New Republic. *This article previously stated that Bouazizi was a university graduate. He was not. We regret the error.